The man who started Microsoft, Bill Gates, has predicted that by 2035, there will be almost no poor countries in the world. Today, the World Bank says there are 35 poor countries. Most of the people who live in them are on low or no incomes. Gates said that nearly all these countries will be richer in the next 20 years. He wrote, "Every nation in South America, Asia, Central America (with the possible exception of Haiti) and most in coastal Africa will have joined the ranks of today's middle-income nations." He added, "When I was born, most countries in the world were poor. In the next two decades desperately poor countries will become the exception rather than the rule." 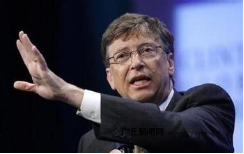 Mr Gates said some countries will still be poor. These include North Korea, Haiti and nations in central Africa. He said the good news was that nearly 90% will have a higher income than India does today. He believes countries will become richer by copying their more successful neighbors. Countries will also benefit from new medicines, better seeds for farmers and the Internet. Gates said many countries that were very poor just a few decades ago are now doing well. He said China, India, Brazil and Botswana were poor thirty years ago but now have growing economies. He said there was still a lot of work to do and that more than one billion people live in extreme poverty, so it's not time to celebrate. 1. When will be no poor countries according to the predication by Mr Gates? 2. How many countries are still poor in the world now? 3. North Korea, Haiti and nations in central Africa are still _____ in the future. 4. What’s the Chinese meaning of the underlined phrase “benefit from”? 5. ______ was poor thirty years ago but now it has growing economies.